Tyler Rollins Fine Art is pleased to welcome Ronald Ventura back to New York for an exhibition of new works, taking place at our gallery from September 4 through October 25, 2014. Entitled E.R. 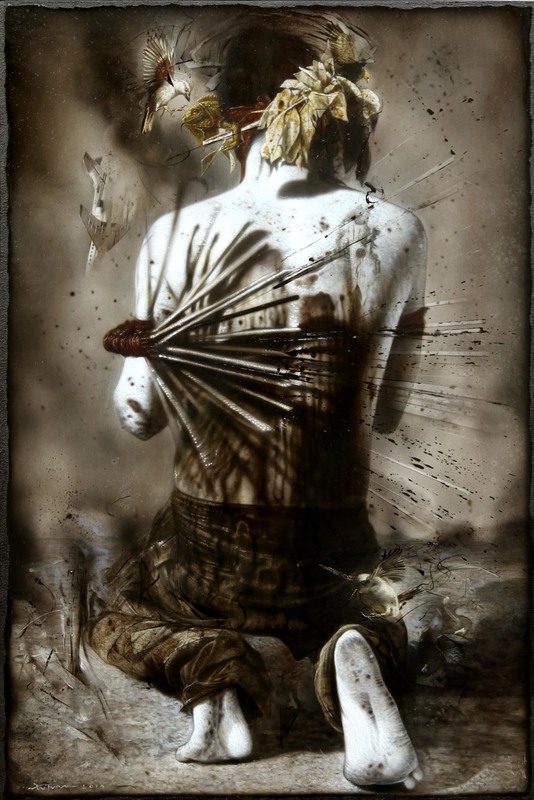 (Endless Resurrection), the exhibition takes its inspiration from the intense, often quite bloody rites that are still performed during Lent in certain parts of the Philippines, such as San Pedro Cutud in Pampanga province. There, penitents gather during Holy Week for public events, not officially sanctioned by the Roman Catholic Church, in which Christ’s passion and crucifixion are re-enacted, with penitents flagellating themselves using bamboo sticks tied to a rope, or spending hours nailed to wooden crosses. Ventura has long been fascinated with how tradition and faith shape identity in his native Philippines, and the ways in which the powerful influences of contemporary global pop culture continue the process of cultural syncretism that has been going on in the country since the beginning of Spanish colonialism in the 16th century. 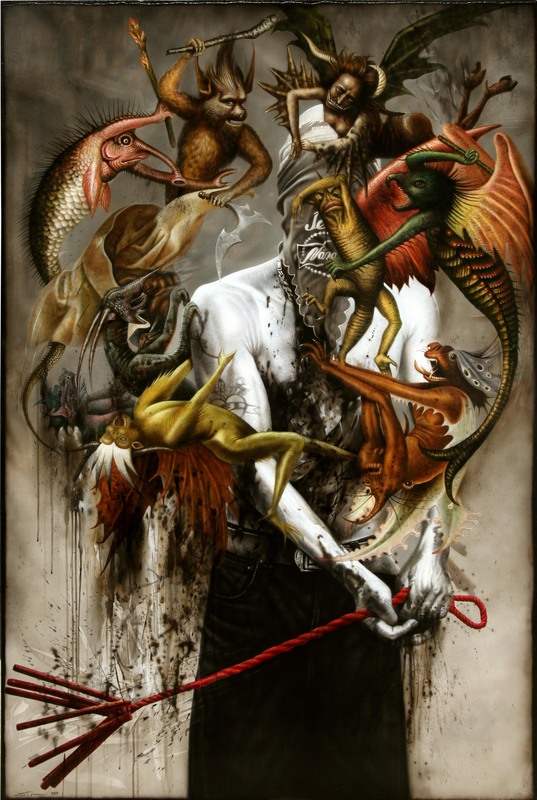 For the exhibition, he has created a series of oil paintings incorporating images of flagellants accompanied by a swirling host of figures inspired by European Old Master paintings (particularly Hieronymus Bosch and Caravaggio), alongside motifs and texts taken from vintage carnival posters, advertisements, and comic books. It is a meditation on Filipino history through visual and performative culture: the history of faith and its expressions in ritual, art, and in the human body itself, tracing the evolution of iconic motifs in popular visual culture, from the demons of the Middle Ages to the comic book characters of today. 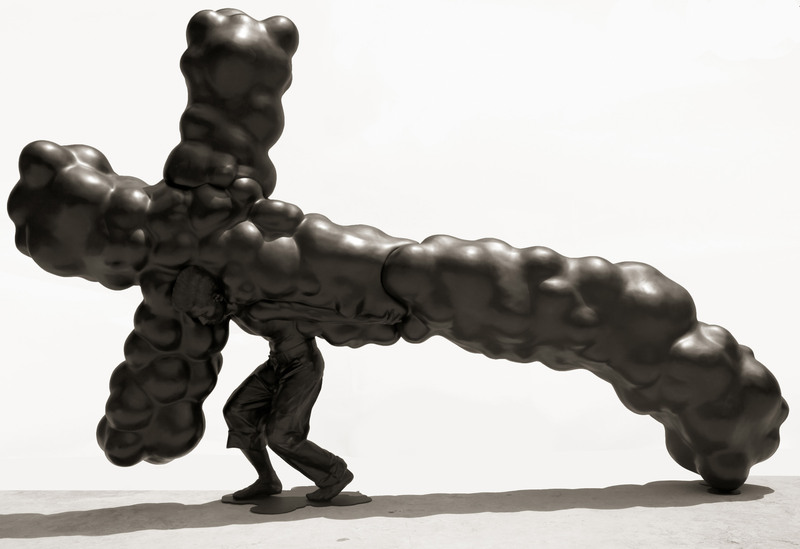 A life sized sculpture of a penitent carrying a cloud-like cross stands guard over the exhibition, which also features a video taken by the artist during the Lenten rites, as well as an extraordinary series of images of penitents standing in front of a large image of Caravaggio’s Flagellation of Christ that the artist set up along the processional route. 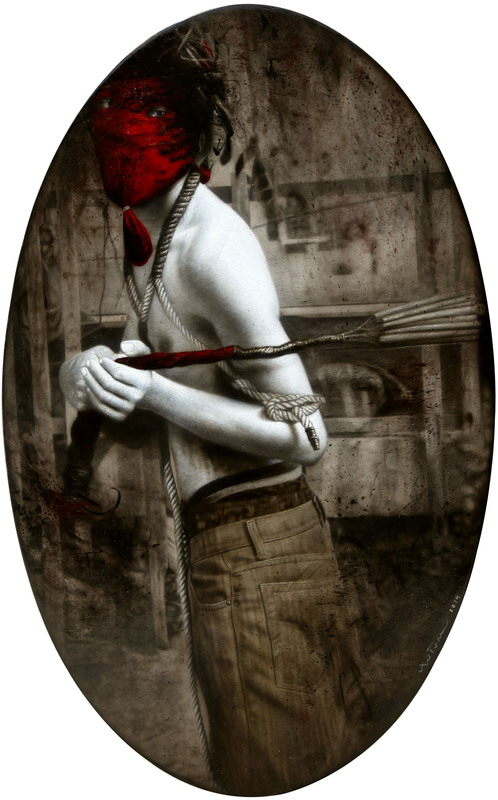 The mood is set by the rhythmic sound of penitents whipping themselves, echoing through the gallery. 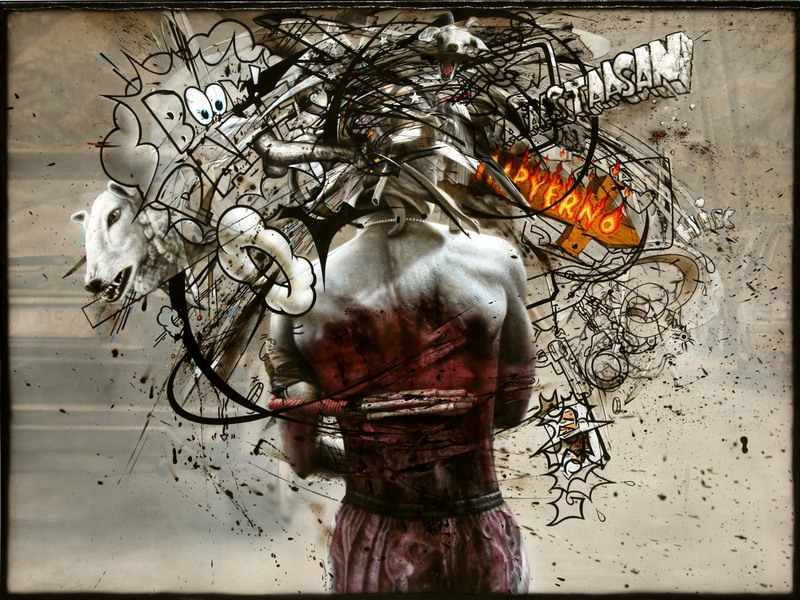 Born in 1973 in Manila, the Philippines, where he con­tinues to live and work, Ventura ranks as one of the most acclaimed artists of his generation in Southeast Asia. 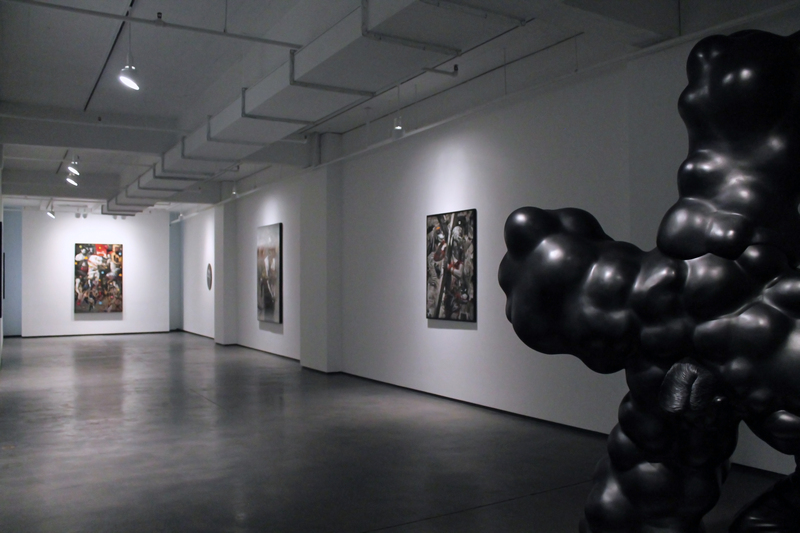 With their unique combinations of figurative motifs, his paintings and sculptures are now among the most recognizable images of contemporary art in Southeast Asia. 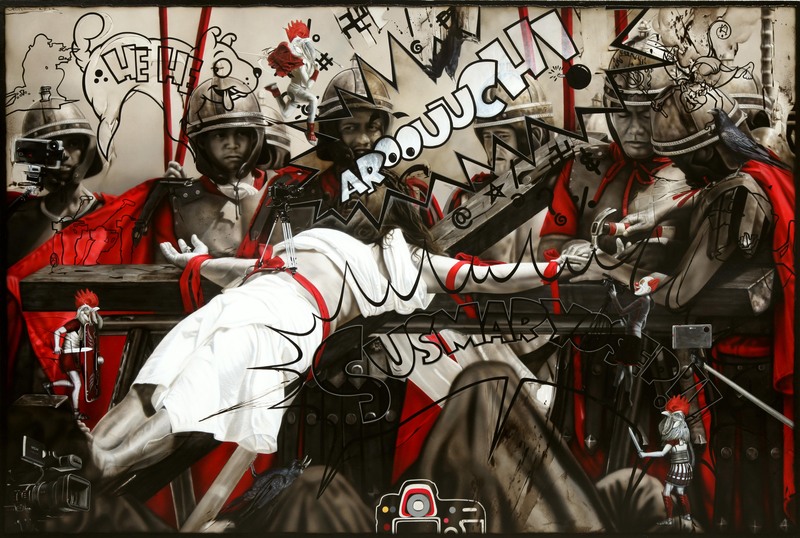 His work features a complex layering of images and styles, ranging from hyperrealism to cartoons and graffiti. 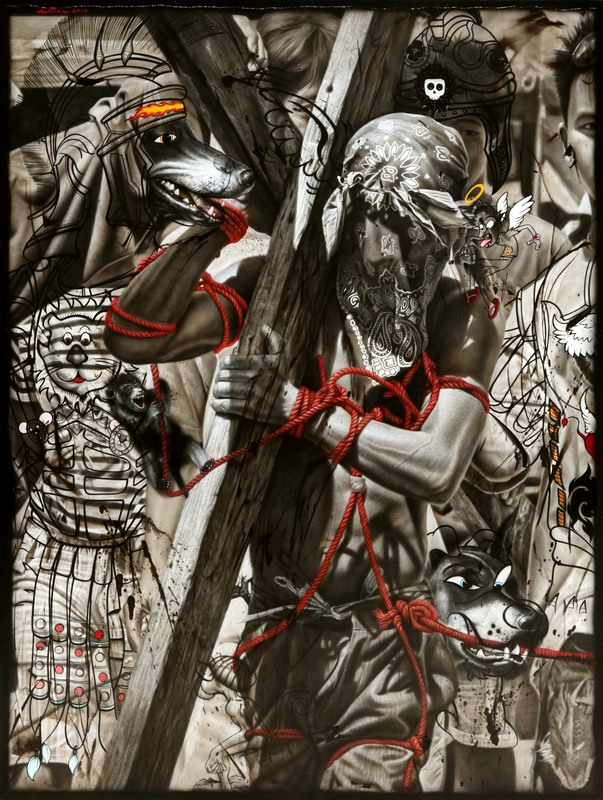 Ventura takes the layering process in his work as a metaphor for the multifaceted national identity of the Philippines. Over the centuries, the profound influences of various occupying powers – Spain, Japan, and the United States – along with the underlying indigenous culture, have produced a complex and at times uneasy sense of identity. Ventura explores this historical and psychic phenomenon through a dialogue of images evoking East and West, high and low, old and young – seen, for example, in allusions to Old Master paintings or Japanese and American cartoons. He draws our attention to the “second skin” of cultural signifiers that each person carries with him, however unwittingly. 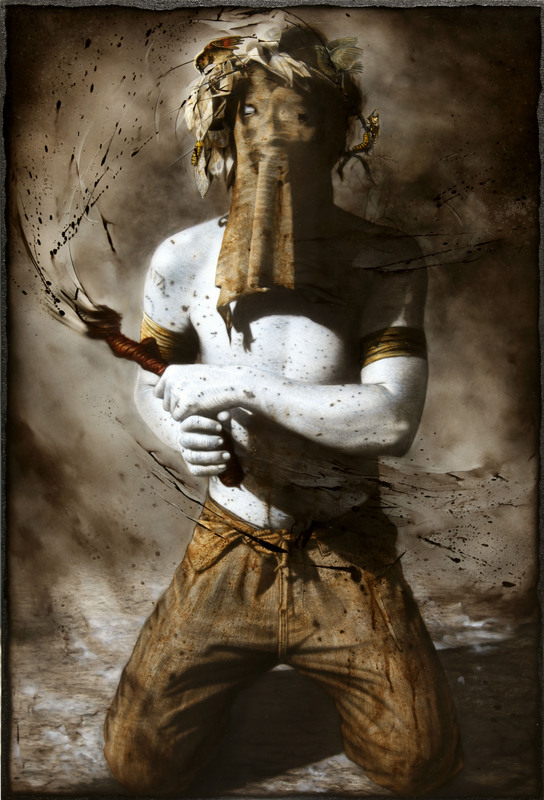 Ventura views skin as an expressive surface – written on with tattoos, concealed under layers of imagery, or exploding outwards to reveal an inner world of fantasy and conflict. 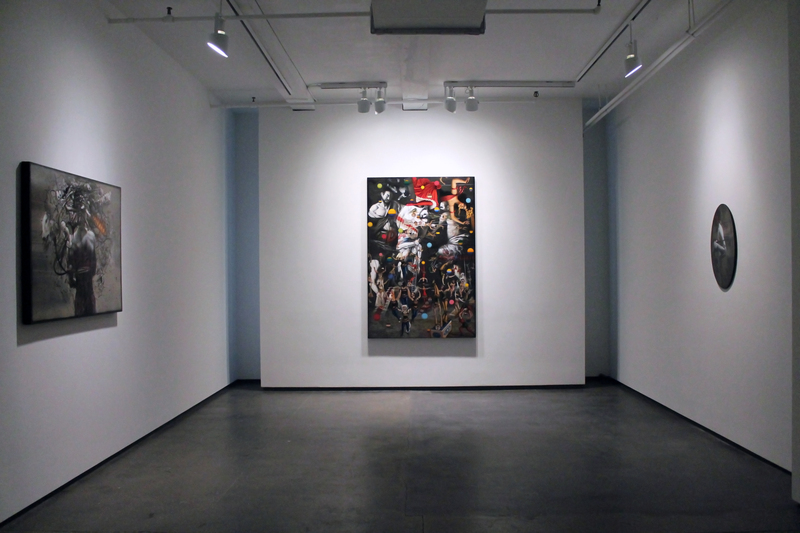 Ventura presented his first US solo exhibition, Metaphysics of Skin, at Tyler Rollins Fine Art in 2009, followed by A Thousand Islands in 2011. 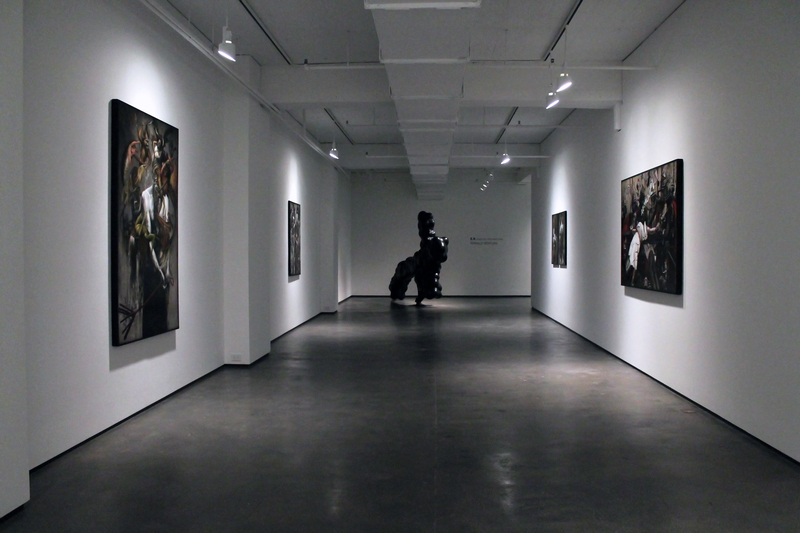 Other solo exhibitions of note include: Bulul, Ronald Ventura and the Traditional Art of the Philippines, Museo delle Culture, Lugano, Switzerland (2014); Watching the Watchmen, Vargas Museum, Manila, the Philippines (2012); Recyclables, Singapore Tyler Print Institute, Singapore (2012); and Mapping the Corporeal, National University of Singapore Museum (2008). 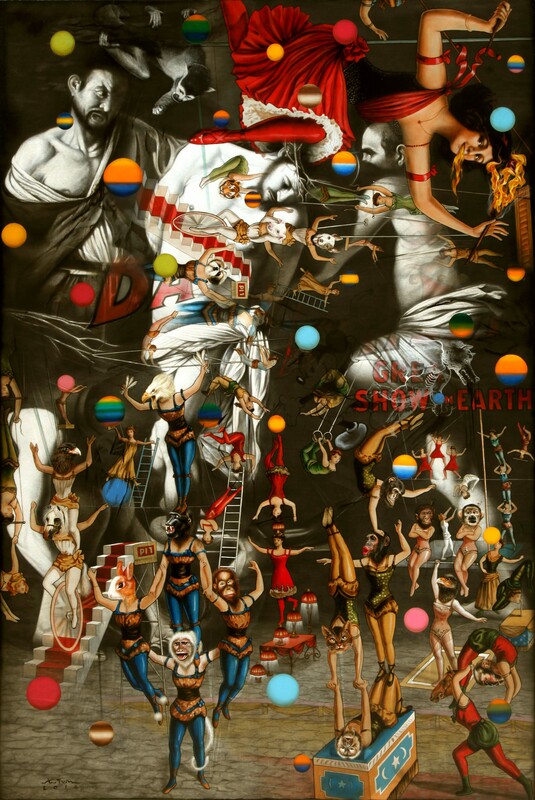 He has also participated in such group exhibitions as Surreal Versus Surrealism in Contemporary Art, Institut Valencià d’Art Modern, Valencia, Spain (2011); the Nanjing Biennial (2010); and the Prague Biennale (2009).